Romney Won the Debate. But Will It Be Enough? It looks like Romney has been declared the winner of the first presidential debate. But will it be the turning point he needs? 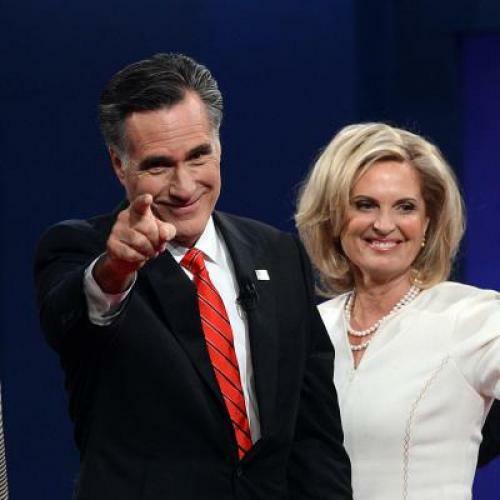 Romney’s performance was very strong, but the debates have not tended to fundamentally reshape past presidential elections, so the burden on Romney was quite high. For that same reason, a good performance by Romney might not have been good enough. While Romney was on the offensive and Obama was listless, the president did not commit any gaffes and Romney did not level any blows that are likely to reverberate for the next few days. The president did not appear incapable or incompetent as much as he was simply out-debated. If you tend to believe that elections are about the incumbent, this matters. Forty-nine percent of voters have already made it clear that they're willing to reelect the president, so the question is whether tonight's debate introduced new information that might change their minds. If so, it would have to come from changing perceptions of Romney, not the president. There’s no question that Romney came across as knowledgeable and substantive; to the extent that voters were unsure about his ability to handle the office, he certainly made real gains. But it’s unclear whether Romney made progress toward redressing his fundamental problem: low favorability ratings. It could be the case that Romney’s energy, passion, and interest in policy could help him address the “does Romney care” problem in an indirect way, even if it doesn't necessarily prove that he cares about the middle class. On the other hand, though, Romney didn’t go out of his way to stress a message oriented toward the middle class and he didn’t seem unusually empathetic. If anything, his quick pace might have left voters missing his message, even if they were impressed by his performance. None of this is to say that Romney didn’t win the debate decisively, or even that voters won’t perceive that Romney won decisively. This analysis is just as nit-picky as it sounds, but with good reason: The threshold for assessing that Romney might have reshaped the race is quite high, so it’s worth questioning whether Romney’s good performance was good enough. History suggests that the answer is probably no, but it's not assured and we'll see over the next week or two. Regardless of whether Romney has upended the race, he can expect something of a bounce in the post-debate polls. Following the first debate in 2004, Kerry closed to within 1.6 points in the RCP average, compared to his final 2.4-point defeat. Four years earlier still, Bush seized the lead in post-debate polls and didn’t relinquish it until the Election Day results showed Gore winning the popular vote. While Obama did get a post-debate bounce, it fell short of his ultimate margin of victory, perhaps because the full effects of the economic crisis were still settling in. So when reading next weeks polls, know that it's possible that it could reflect a bit of a bounce (like 2000 or 2004) or something more like a bump (1980, 1976). As an interpretive matter, the key questions are whether Obama falls far beneath 49 percent and whether Romney can get past 47. If neither of these conditions are met, then Romney's performance just wasn't good enough. If Obama falls far from 49 percent without Romney surpassing 47 percent, that might suggest renewed opportunity for Romney, even if he would still be an underdog. The fact that Obama previously held 49 percent of the vote might be a reason to presume that the advantage lies with Obama, even if only by the slightest margin. Despite the president's low approval ratings, there still isn't much evidence that a sufficient number of voters are prepared to oust the president. It's clear that a sufficient number of voters are willing to reelect the president, even if their votes are not yet assured. Of course, the race would get quite interesting if Romney takes the lead.